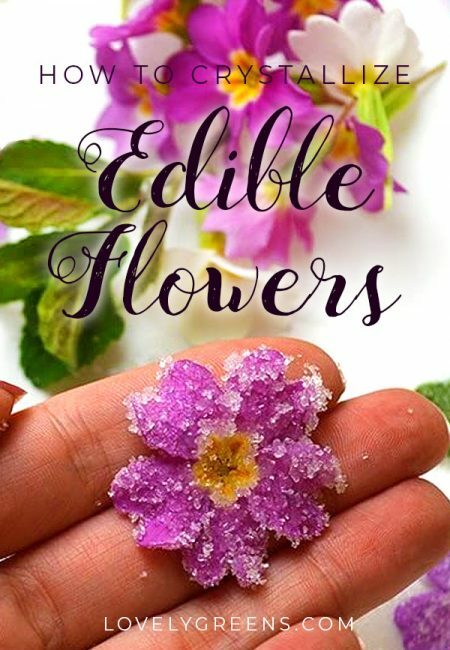 Though most people think of flowers as ornaments for the home or garden, many of them are in fact edible. Lavender buds can be pressed into cookies, the essence of roses is used to make Turkish Delight, and Nasturtiums brighten up a summer salad with their peppery orange blossoms. Primroses are another great edible flower. 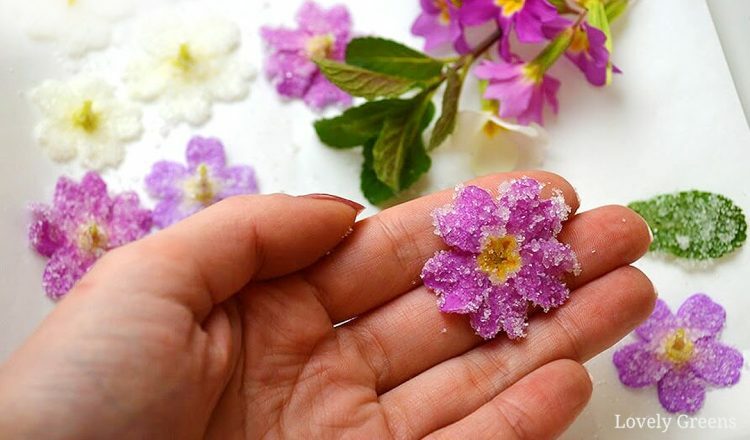 You can use them fresh but to preserve them for longer, you can crystallize primroses in sugar. Primroses are one of the most common and beautiful spring flowers and they also happen to fall into the edible category. Though personally I don’t think they taste like much on their own, when coated with sugar they transform into a beautifully sweet and natural decoration that can be used on desserts and cakes. Primroses are low-growing plants with rough, tongue-like leaves. The color of the flowers may vary but they’ll likely be a creamy yellow with a darker yellow centre if you find them growing wild in the countryside. You may well have them growing in your garden as well and in that case they can be pink, purple, white, or a range of other colors. All colors of primrose are edible. 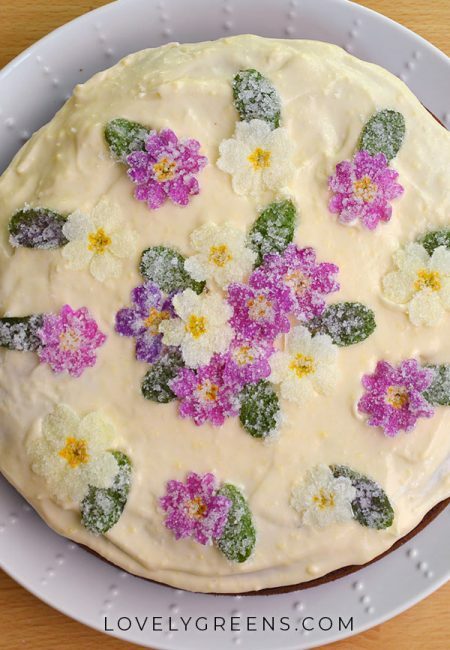 Edible flowers and leaves – I’m using Primrose flowers and Peppermint leaves Sugar – fine textured white or brown granulated sugar will do. Icing/powdered sugar is not suitable. 1. If you’re sure the flowers are clean then you don’t need to wash them. If you do rinse them, you must let the flowers dry completely before continuing. 2. Using a clean paintbrush that has never been in contact with potentially toxic substances (think oil paint), paint the egg wash on a flower. Make sure to coat the entire surface, both front and back. 3. 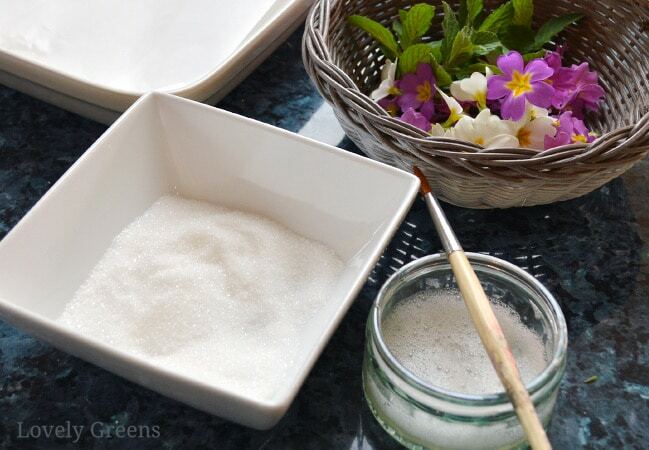 Pour 1/4 cup of sugar into a bowl and once the flower is coated in egg wash, place the flower in with the sugar. Coat as much of the flower’s surface as you can then take it out and place the flower face-down on a tray lined with baking/kitchen paper. 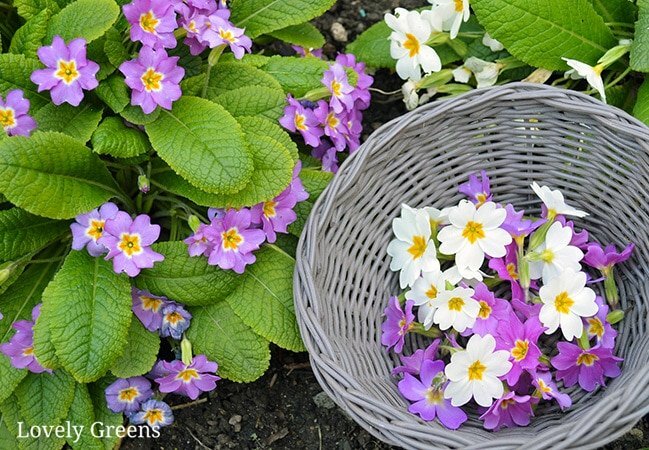 Leave to try for between 1-2 days; primroses take about a day to stiffen up but some of the thicker flowers and leaves will take longer. 4. 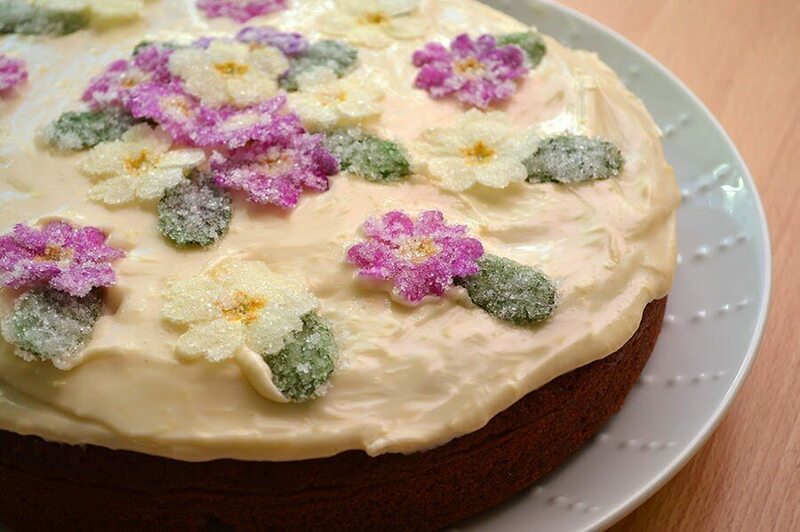 Once hardened, use the flowers to decorate cakes, cupcakes, and desserts. They can last for up to a year if stored in a dark, dry place. These flowers are also so pretty that they’re perfect for decorating a spring cake or even being packaged up in tissue paper and given to a friend as a gift. If you’ve used light colored icing, like I have on my cake, edible leaves, such as Peppermint, create a nice backdrop for the flowers. You could even use them to recreate a rosette of Primroses like you’d find growing outside in the spring sunshine. Chamomile – light apple flavor. Use only the flowers. What about cowslip, are they edible flowers as well? How wonderful. Thank you. I’ve just bought lots of primroses for my English cottage garden and will now be combining my love of gardening with cooking. How inspiring. Having just enjoyed your video as a bedtime treat I’ll now be falling to sleep happily relaxed thinking of your beautiful ideas and cakes…. Sweet pea flowers, Lathyrus odoratus, are poisonous. Do not eat! Honeysuckle, elder (floral and sweet), and tiger lily (faint onion flavor) are a few. *Asiatic day flower (small intensely blue, considered a pest weed) is pretty in salad and can be used to make dye. 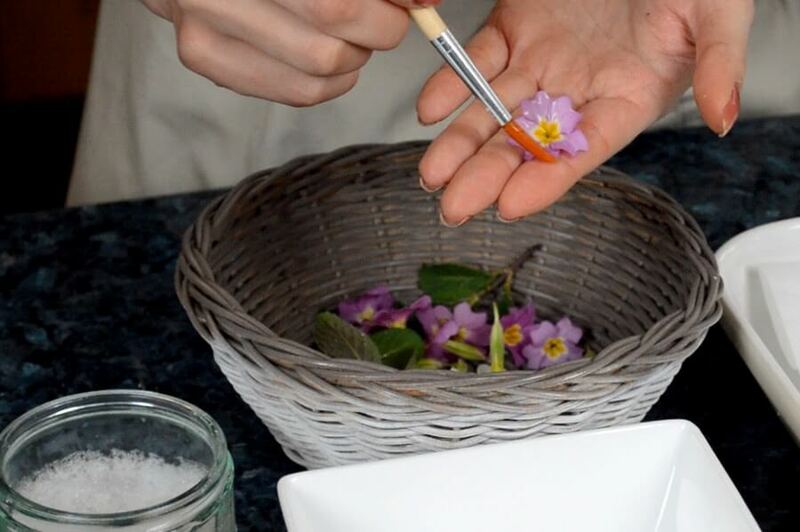 It is surprising to know that primrose flowers are edible. Thank you for providing this useful information to me and everyone. Thanks for the information. I am definitely going to try this. Also adding a few of the flowers to my garden. Are the flowers just left on the shelf to dry or in the fridge? Hi Rael — you dry them at room temperature. So pretty! Sadly, my cakes don't always turn out so well. But if I added these, they'd at least make a good impression sitting on the counter! What an elegant touch! Thank you for the tutorial and for sharing at the Clever Chicks Blog Hop! Thanks for sharing! A great lesson! Thank you for the tutorial. I am growing many of the flowers on your list this year, as well as violas which will be perfect for crystallizing.